The million-selling culinary classic from the “dean of American cookery” offers timeless and delicious recipes—a must-have for beginners to foodies (The New York Times). 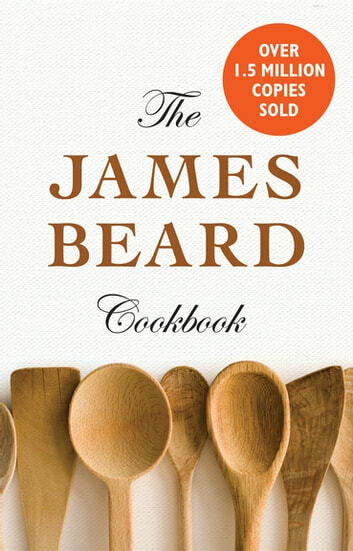 Hailed by the New York Times as “one of the best basic cookbooks in America,” The James Beard Cookbook remains as indispensable to home cooks today as it was when it was first published over fifty years ago. James Beard transformed the way we cook and eat, teaching us how to do everything from bread baking to making the perfect Parisian omelet. Beard was the master of cooking techniques and preparation. In this comprehensive collection of simple, practical-yet-creative recipes, he shows us how to bring out the best in fresh vegetables, cook meat and chicken to perfection, and even properly boil water or an egg. From pasta to poultry, fish to fruit, and salads to sauces, this award-winning cookbook is a must-have for beginning cooks and expert chefs alike. Whether it is deviled pork chops or old-fashioned barbecue, there is not a meal in the American pantheon that Beard cannot teach us to master. Enduring and eminently sensible, The James Beard Cookbook is the go-to book for twenty-first-century American home kitchens.